The consultation on Cross City Cycling is taking place from Monday 4th January – Monday 15th February 2016. The projects represent strategic links to radial and orbital cycle routes, especially those to employment or development sites. 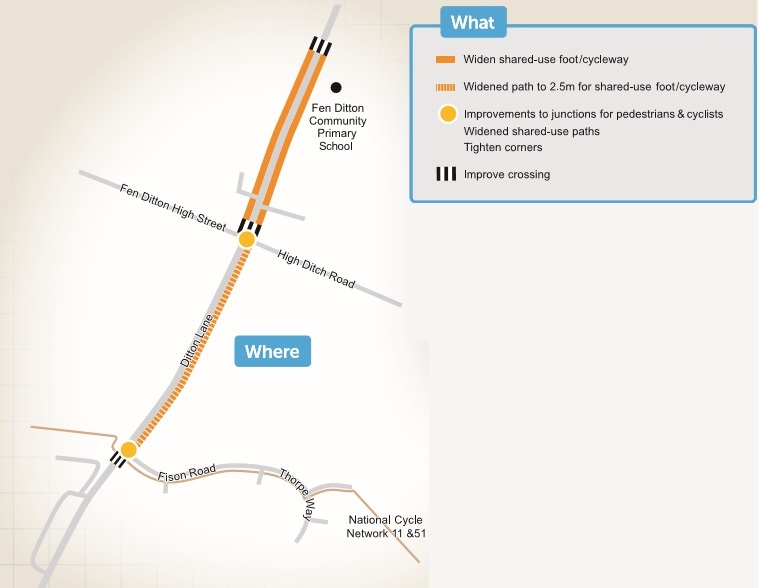 Each project will be integrated and delivered with other projects such as The Chisholm Trail, Histon Road, Milton Road and Robin Hood junction improvements. In the meantime, please do not hesitate to contact us, should you require any further information.